An article discussing on Indian Bloggers Against Internet Censorship and how the Internet Democracy project is creating awareness. 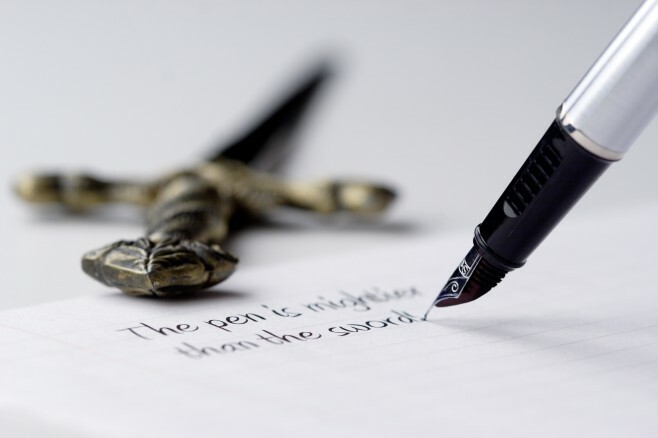 Words seem to be the new weapons of the Information Age with the fight between good and evil now being played out on the Internet battlefield. Governments all over the world have been threatened by the how the Internet empowers the common people. And perhaps we’ve been witnessing this ever since user generated content started gaining popularity. Recently, there’s been quite an uproar relating to how the Indian Government is applying censorship one step at a time. Incidents of bloggers posts being taken down for containing ‘offensive’ content are on the rise. And the sad part is that the bloggers do not get notified legally by the high powers of State. Besides this, there are many incidents that have occurred discreetly which do not even get reported and bloggers do not have the requisite knowledge to help tackle this. One such interesting story is of cartoonist Aseem Trivedi and quoting his own words on what has happened as expressed in the IndiBlogger forum. I started a campaign against corruption through my website and during Anna Hazare’s campaign of India Against Corruption in Mumbai, I displayed my cartoons in the mob. On the very first day of Anna’s fast, the Mumbai Police Crime Branch put a ban on my website after receiving a complaint. Even after the ban, I continued my battle and shifted the content on a new website. But recently some blind folded people who can’t understand the objective of my cartoons have filed a case against me, claiming me as a traitor against the nation in Beed District Court, Maharashtra. You can get a glimpse of the entire scenario in the discussion forum on ‘Internet Censorship’ at Indiblogger.in. The history of censorship in India and its current status. 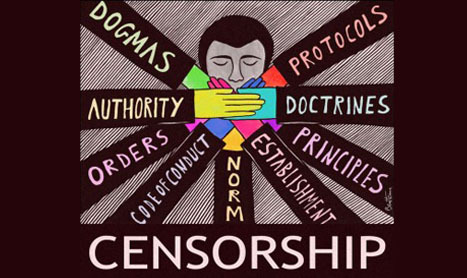 The legal framework regarding online censorship and the ways in which it may affect you. Debates on difficult questions such as where and how to draw the line where hate speech is concerned. What to do if you are served a legal notice. Alternatives to censorship to fight problematic content. As someone rightly stated ‘Knowledge is Power’, it is become imperative for all bloggers to know what they can do and how when their freedom of expression is curbed. Hence, this training and the subsequent awareness movement that will begin soon after the training might just be the required dose to fight internet censorship and the right to freedom of expression. Although these may be first steps towards that fight, citizen movements have shown great promise in the recent past. The need of the hour is to closely monitor and highlight issues pertaining to censorship before the problem gets any more acute. Awareness and knowledge would be the key drivers here and the pro-activeness to take action before we get jailed for writing such posts! But it remains to be seen who wins in this pseudo democracy – the people or government.